Keeping warm in these dangerously low temperatures can be a challenge, especially if your furnace isn't working properly. The experts at WF Hann & Sons will tell you cleaning and routine maintenance on your furnace will go a long way when it come to keeping you warm and out of trouble, even on the coldest of days. "I just got here, so I just started cleaning the furnace and taking it apart, getting everything prepped," said Terry Reitz, with WF Hann & Sons. 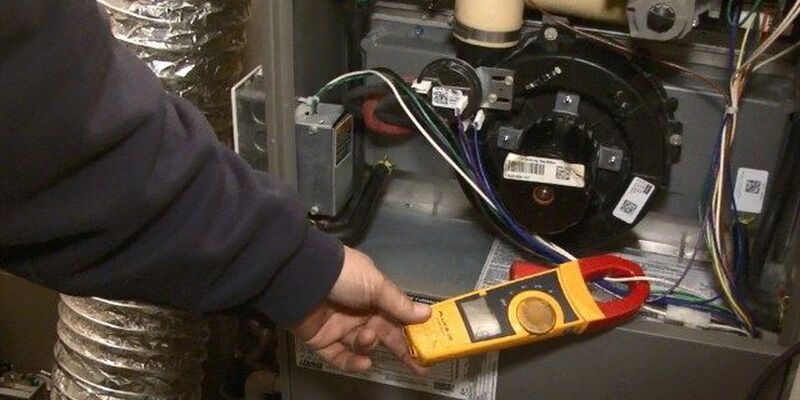 Depending on the age of your furnace, routine maintenance can save you a lot of bone chilling, costly repairs later, especially if the main part of your furnace gets clogged, overrun, and abused. "If your heat exchanger goes bad, you may be out of warranty, it may be time to think about replacing the furnace," said Reitz. Advice from experts, like Reitz, is: If you don't know exactly how your furnace works, leave the tuneup, and of course, the repairs, to those that do, with the exception of changing the filter. Every unit is different. "We have maintenance done every couple years," said homeowner Jim Franks. A Twinsburg resident, Franks lives in a new home with a high-efficiency furnace. He knows when it comes to your comfort and safety, don't leave it to luck. "We haven't had any trouble with it, but we don't want any trouble either, especially with the weather like it is right now," said Franks. He says having the experts do it has been the best way to enjoy cozy nights at home, instead of out in the cold.